Every parent worries about whether they are doing enough to help their child. On the complex subject of learning to read this can be a difficult question to answer. You could just leave it all up to your child's school, but many of us want to do more by providing appropriate guidance and support at home. But what are the key areas to focus on to improve reading skills? Fortunately, help is at hand. Over ten years ago, the National Reading Panel reviewed over 100,000 research studies in order to come up with a definitive answer on the most effective components of reading instruction. They came up with a list of five methods that consistently related to reading success: phonemic awareness, phonics, vocabulary, fluency and comprehension. These five areas are still just as relevant today as a list of 'what works' in reading. 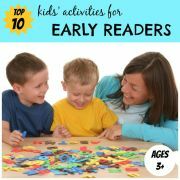 Keep reading for a description of the best ways to help your child improve reading skills in each of these five areas. Phonemic awareness is the understanding that spoken words are made up of separate units of sound (phonemes) that are blended together when words are pronounced. You can help to develop you child's awareness of sounds in words by focusing on activities which practice awareness of syllables, rhyming, isolating sounds, blending sounds and segmenting sounds. 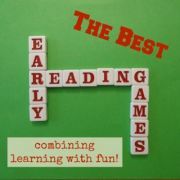 Here you can find some examples of games to play to help improve reading skills in these areas. Phonemic awareness helps young children to learn new words. Learning a new word involves forming a connection between how the word appears and its meaning and pronunciation. The reader matches a sound with each of the letters or letter combinations that make up the word and then blends these sounds to pronounce the word. Good phonemic awareness leads to faster and stronger connections between the sequence of letters in the word’s spelling and the word’s pronunciation, which results in more proficient reading. When the reader has formed a sufficiently strong connection, the word becomes a sight word and can be recognized immediately. As children with strong phonemic awareness can read words more accurately and rapidly, this allows them to focus more of their attention on the meaning of what they are reading, and so reading comprehension improves. Phonemic awareness also helps children learn to spell since they can relate sounds to letters as they spell words. The second area to focus on to improve reading skills is phonics. Whereas phonemic awareness is the understanding that language is made up of a sequence of sounds, phonics is the relationship between these sounds and the written letters used to represent them. Our writing is a code in which speech is broken down into individual sounds and represented by letters. Phonics teaches the relationships between written letters (graphemes) and the spoken sounds they represent (phonemes). Knowing these relationships helps children to read and spell words accurately and rapidly. For the English language, these relationships are predictable, but not completely consistent. However, they are consistent enough to be very useful to young children in helping them learn to decode unfamiliar words. Phonics can also serve as a memory aid that helps children remember and apply rules and generalizations for matching sounds and letters. There are more than forty phonic sounds in the English language, with each sound being represented by combinations of the 26 letters. Sounds can have anything from one letter (eg 'm' in map) to four letters (eg 'ough' in dough). Nearly every sound also has more than one way to spell it. 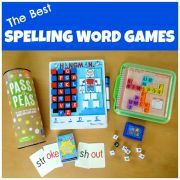 Children start by learning one spelling for each sound, blending words with them and then learn spelling alternatives afterwards. Many programs for teaching children to read are based on phonics, such as Analytic Phonics and Synthetic Phonics programs. Vocabulary refers to the words we must know to communicate effectively. Words can be considered to be part of our oral vocabulary, used in speaking or listening, or our reading vocabulary, which we use in print. 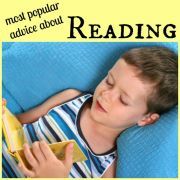 To improve reading skills and become a proficient reader your child needs to have a strong oral and reading vocabulary. Vocabulary plays an important role in learning to read since children use words which they have heard to make sense of the words they see in print. When a child sounds out an unfamiliar word, they try to match the trial pronunciation with a word in their oral vocabulary. If they find a match which makes sense, they move on. If the word is not in their oral vocabulary they will have a much more difficult time reading that word. Vocabulary is also important for reading comprehension. Once they are reading independently, a child needs a good vocabulary in order to really understand what they are reading. As they start to tackle more advanced texts, they must learn the meaning of new words that are not part of their oral vocabulary. Most vocabulary is learned indirectly through conversations with adults, listening to read-aloud books and independent reading. However, you can also play an important role in helping to expand your child's vocabulary by providing direct instruction to improve reading skills in this area. As you come across difficult words, explain them to your child. Repeated use of the new word over a period of time and in different contexts will help your child learn it better. So if you come across the word while reading aloud, read that book a few more times in the following days to provide an opportunity for the word to sink in. Look for the word in other contexts and point it out to your child. Also introduce your child to word-learning strategies such as using dictionaries, word parts or context clues to determine word meanings. For more ideas of enhancing your child's vocabulary to improve reading skills, check out these vocabulary games and word-learning strategies. You will find ideas to help your child to decipher the meanings of words while reading and fun games to introduce them to new words. As your child's reading skills develop you will want to focus on helping to increase the fluency of their reading. Reading fluency is the ability to read a text accurately and rapidly. Fluent readers recognise words automatically and group words quickly to help them gain meaning from what they read. They also use phrasing and emphasis in a way that makes what is read sound like spoken language. Rather than read every word, fluent readers predict some of the words based on what they know would make sense. They may predict wrongly from time to time but as long as the meaning of what they are reading is not altered, that is not a problem. The path to fluency is a gradual one which requires time and practice. It begins with the slow, struggling word recognition of a beginner reader attaching sounds to letters, and blending letters to words. Even when your child can recognize many words automatically, they may still not be reading with much expression. To read with expression, readers must be able to divide the text into meaningful chunks, pause appropriately and know when to change emphasis and tone. And even when your child begins to read fluently, their reading will probably become more laboured again when they come across text with many unfamiliar words or topics. As readers become more fluent and begin to recognise words automatically they can focus more attention on what the text actually means. Less fluent readers are so busy focusing on figuring out the words, they have little attention left for understanding the text. 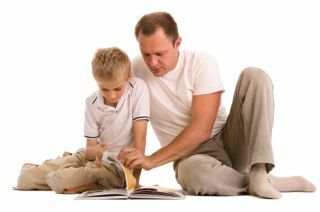 Research shows that the most effective way to improve reading skills in the area of fluency is to ask your child to read and re-read the same passage aloud to you while giving guidance and feedback. You should also, of course, model good fluent reading to them by continuing to read-aloud frequently to your child, even though they are now able to read independently. Comprehension is the reason for reading. There is no point in being able to read a complicated newspaper article fluently if you do not understand what you are reading. 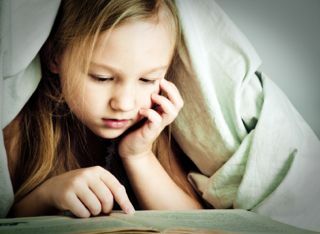 In order to construct meaning from words on a page, your child needs to connect what they are reading to things they already know. 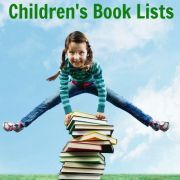 In order to make these connections your child needs to have both a rich vocabulary and a large pool of background knowledge to draw upon. Unless you are a chemist you would find it difficult to read a chemistry journal. Similarly, if a child is trying to read a book about something they know little about, they will not understand or retain much of what they are reading. 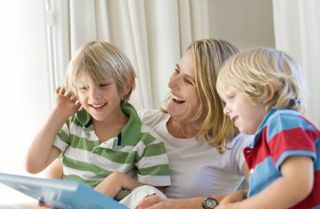 As parents, we can help improve reading skills in this area by providing our children with numerous experiences and background knowledge, which they will draw on to improve their reading comprehension. Trips to the zoo or museums, vacations abroad, camping in the forest all offer great opportunities for accumulating background knowledge. But the experiences can be more mundane too - a walk in the park, a shopping trip, a play session and, of course, reading fact-based books with your child. In addition to building and using background knowledge you can introduce your child to a range of other reading strategies such as asking questions, visualising, inferring and summarising, to help deepen their understanding of what they are reading. 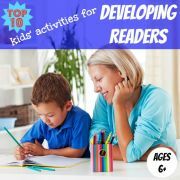 Good readers learn when and how to use these strategies and apply them automatically as required. When using reading strategies effectively, readers are not just thinking about what they are reading, but also about what they are learning. They think more deeply and critically about the text, developing deeper insights based on information presented in the text and building up their store of knowledge which can then be used in other areas of their life. Here are some examples of activities you can do with your child to help develop their reading comprehension skills. "A Closer Look at the Five Essential Components of Effective Reading Instruction: A Review of Scientifically Based Reading Research for Teachers"
"Put Reading First - The Research Building Blocks for Teaching Children to Read"